After a half century of oil extraction, indigenous people in northern Ecuador live in one of the worst polluted places on the planet. 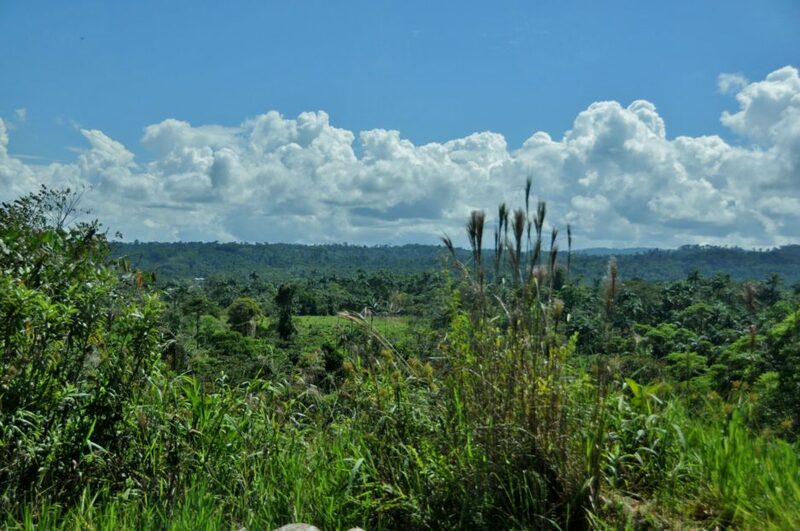 Deep in the Amazon, Ecuador’s largest oil reserves lay buried in the ‘Sarayaku’ and the Kichwa people are fighting to keep it that way. 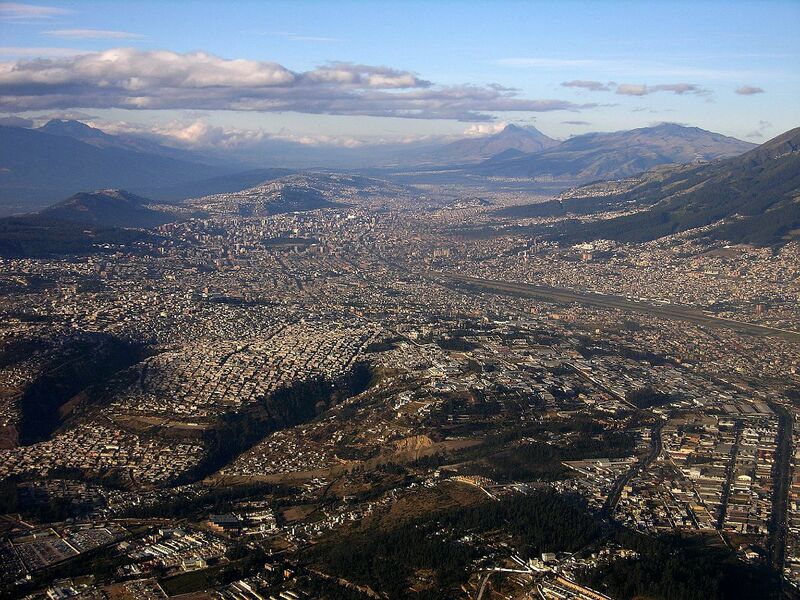 My name is Simon Baker and I’ve come to Quito, the capital of Ecuador. 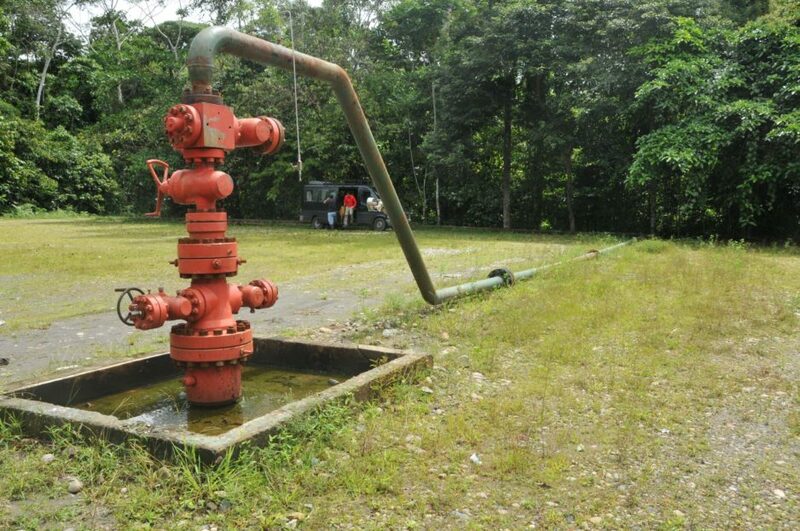 With some of the largest oil reserves in South America, crude oil drives Ecuador’s economy, but almost all of it lies beneath the Amazon rainforest. 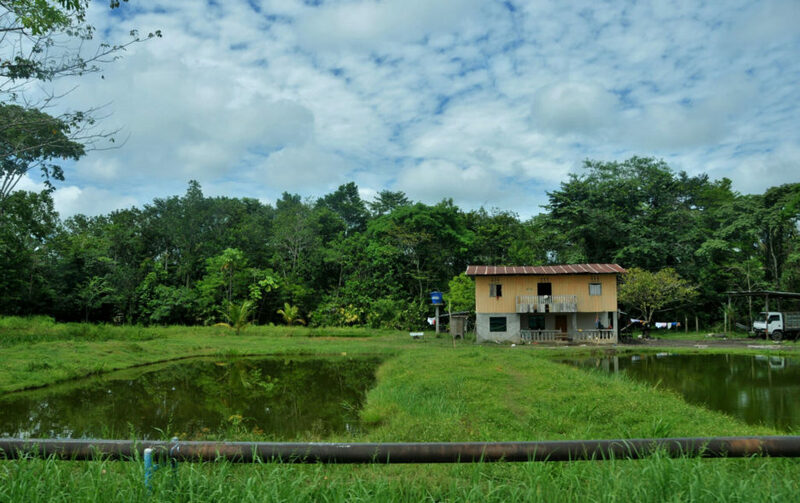 Beginning in the 1960’s, oil spills and poor production practices allowed crude oil and wastewater to contaminate the rivers and forests of Ecuador’s northern Amazon. Fifty years later the indigenous communities living here are plagued by abnormally high rates of cancer and a host of other health related issues. 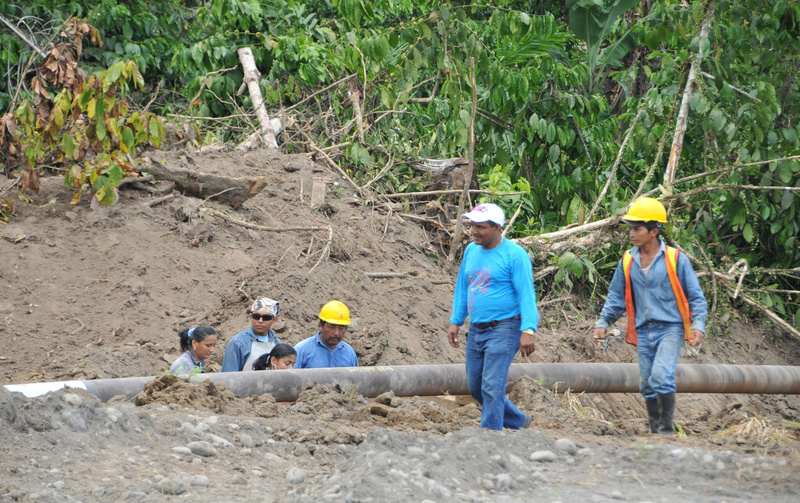 Indigenous communities here now live with some of the worst oil pollution on the planet. Texaco pulled out of Ecuador in the 1990’s and Ecuador’s national oil company ‘Petroecuador’ has controlled oil production since then. 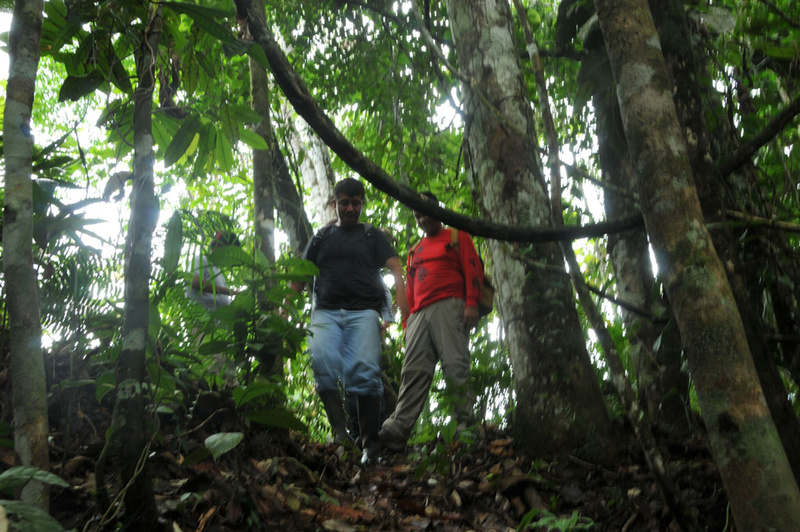 In 2001, Chevron acquired Texaco and with that, the legacy the company left behind in Ecuador’s northern Amazon. 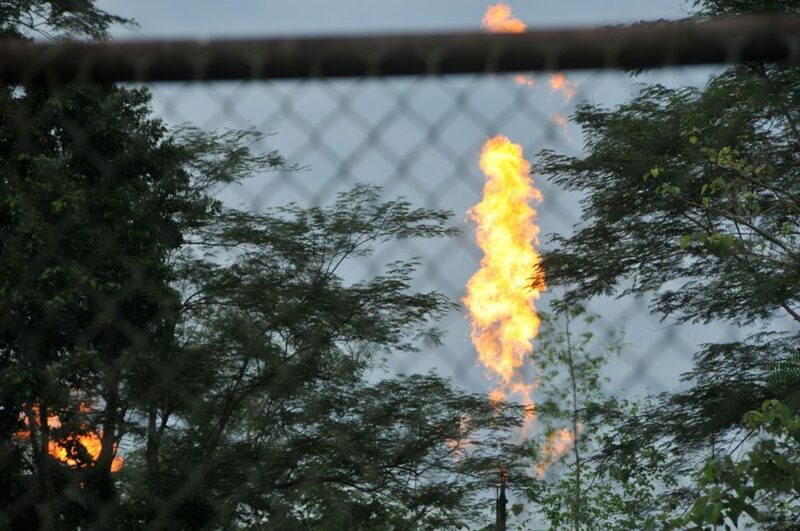 In 2011, the Ecuadorian courts found Chevron responsible for toxic waste Texaco dumped into the environment of Northern Ecuador and ordered them to pay billions for the cleanup. A subsequent and much publicized legal challenge on American soil ultimately ruled in Chevron’s favour. While corporations and governments battle in the courts, I’ve come to understand why the indigenous communities of Ecuador’s northern Amazon have had to sustain themselves on poorly remediated land, near toxic waste pits and along heavily polluted rivers. 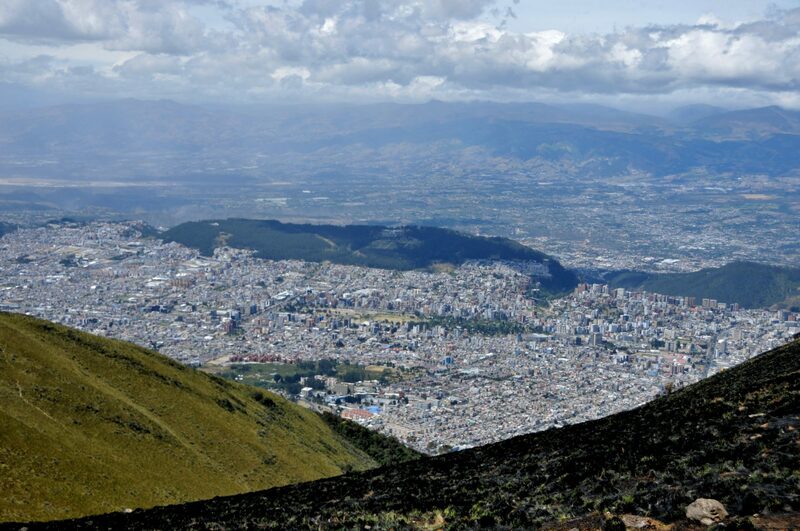 At almost 3000 meters above sea level, Quito is the highest capital city in the world. 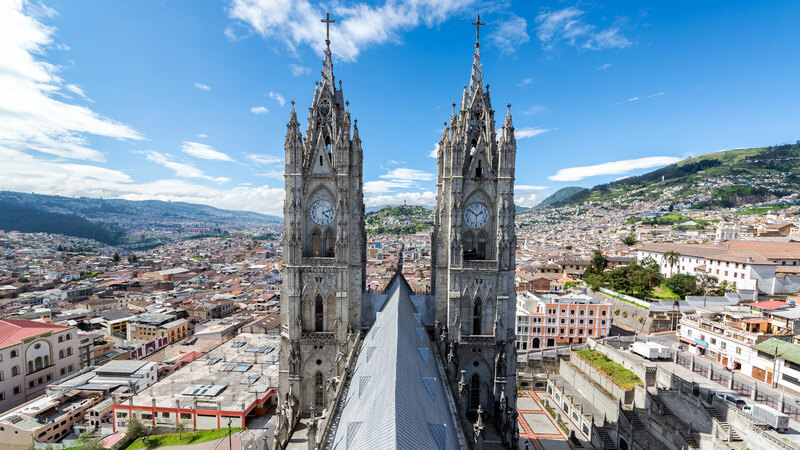 Ecuador gets its name from the equator that runs through it so before we leave Quito, my guide and interpreter Yury Guerra is taking us to the Middle of the World. 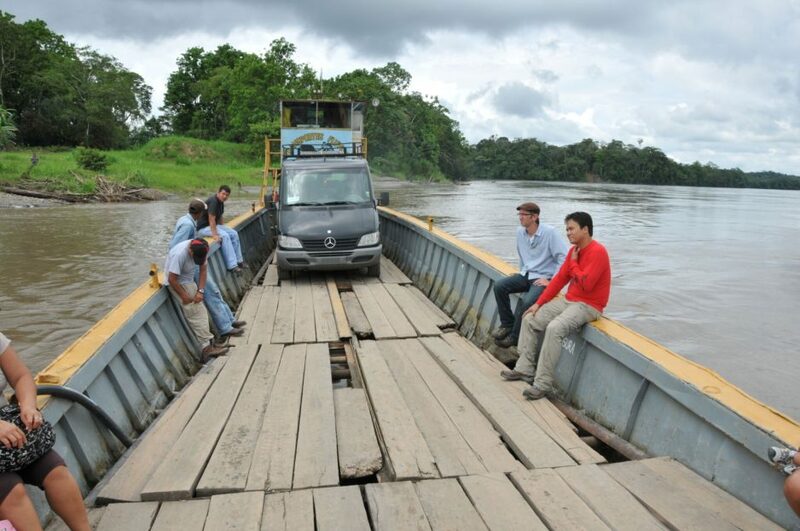 From the capital city of Quito, my guide and interpreter Yury and our driver Patricio are taking me on a journey through Ecuador’s oil producing Amazon region – a trip that’s known here as the ‘toxic tour’. 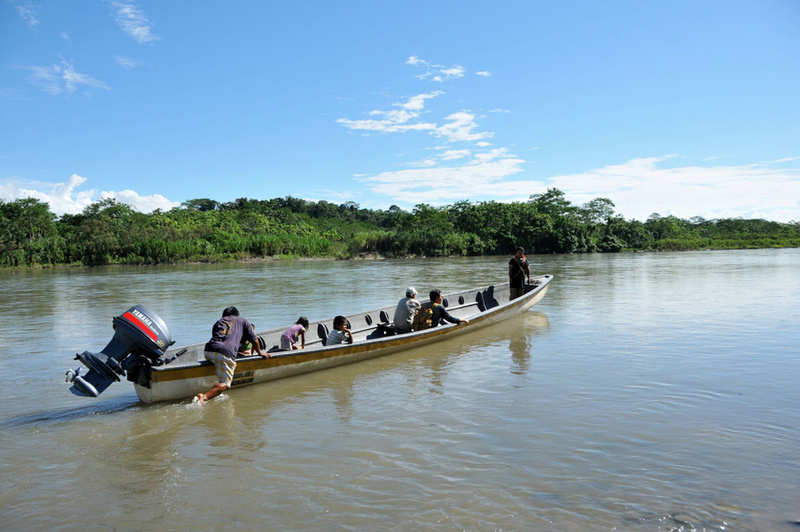 Our route will take us from the most polluted regions in the northern Amazon to the still pristine and undeveloped Sarayaku, where Ecuador’s largest oil reserves remain untouched. 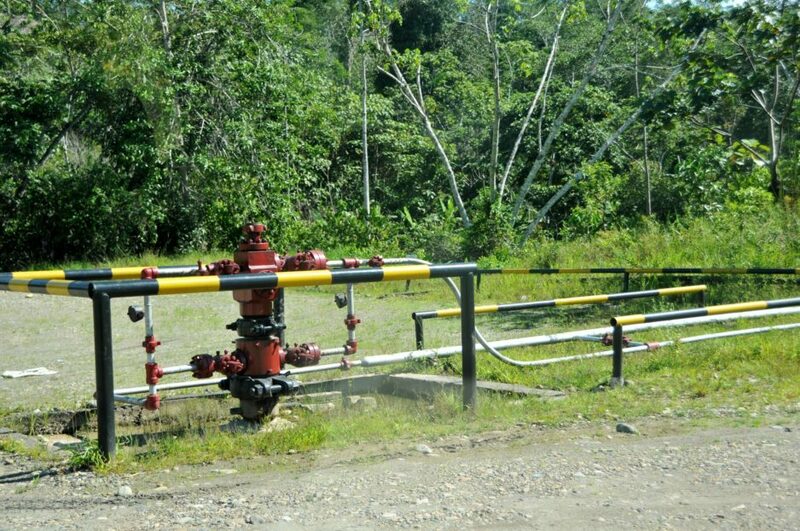 In the Sarayku, the indigenous Kichwa people are fighting to keep Ecuador’s oil buried underground. 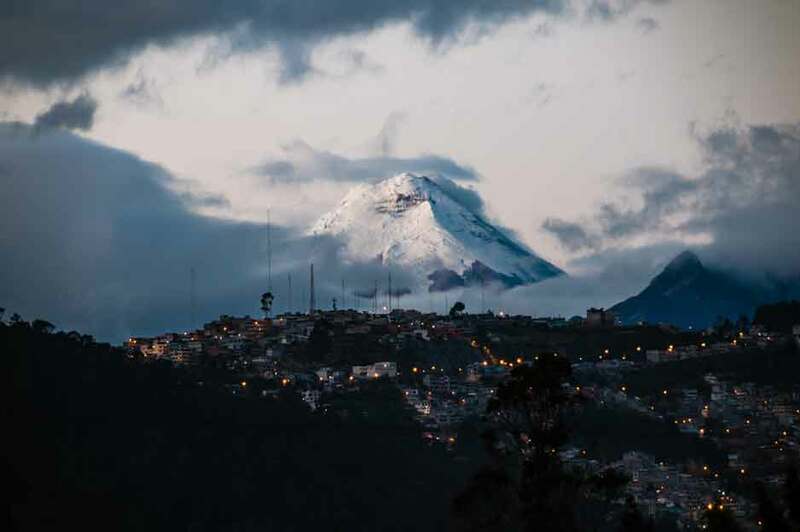 A six hour drive inland from Quito takes us down from Ecuador’s highlands and into the northern Amazon region that’s centered around the oil town of Lago Agrio. 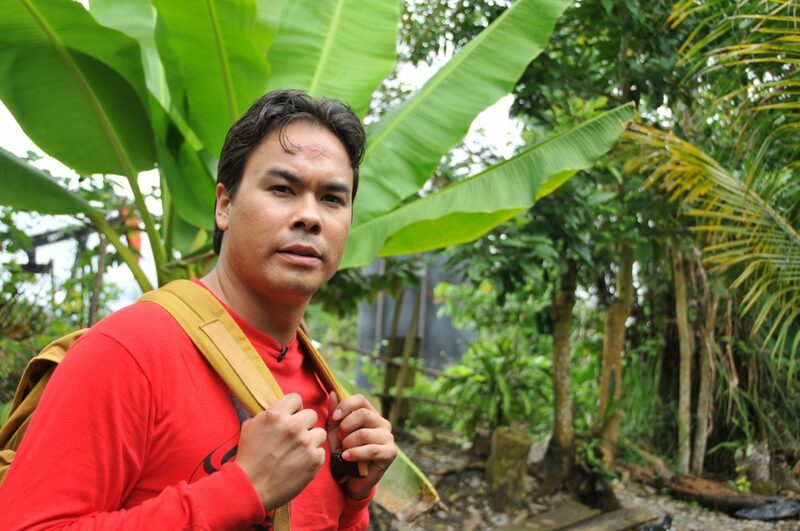 My guide Yury has brought me here to connect with renowned indigenous leader and environmental activist Donald Moncayo and Kevin Koenig from the US based environmental group Amazon Watch. 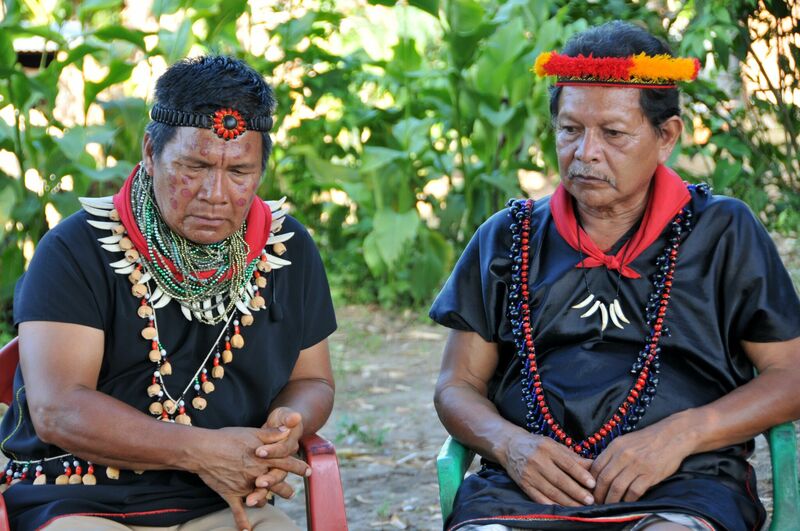 Both men have dedicated their lives to defending the rainforest and the rights of Ecuador’s indigenous peoples. 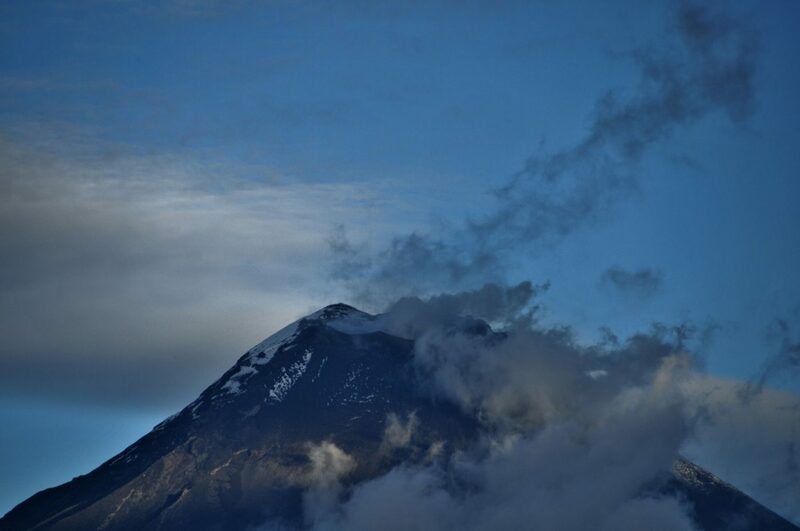 In Ecuador’s Amazon River Basin, geology and time have created this country’s most profitable natural resource. 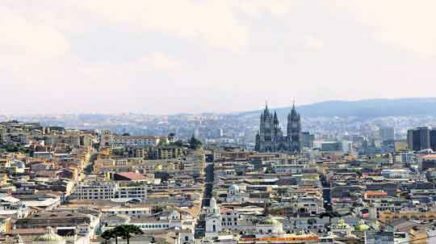 But in only the last sixty years, poor drilling, pumping and remediation practices have made this the most polluted place in Ecuador. To appreciate the extent of oil pollution and to understand the impact on the predominantly indigenous communities who live here, Donald and Kevin have offered to take me on a tour of the region. 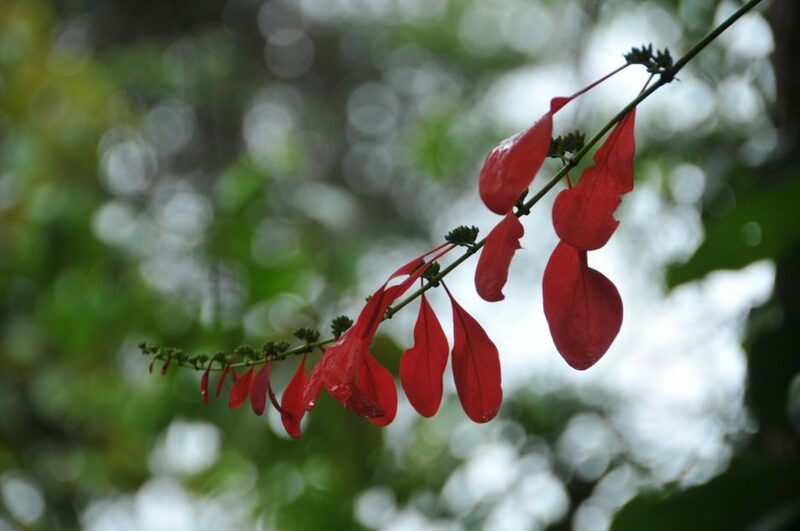 Amazon Watch was founded 15 years ago, and as the name implies, their organization works throughout the Amazon Basin to shine a spotlight on industrial projects that threaten critical ecosystems and indigenous people. 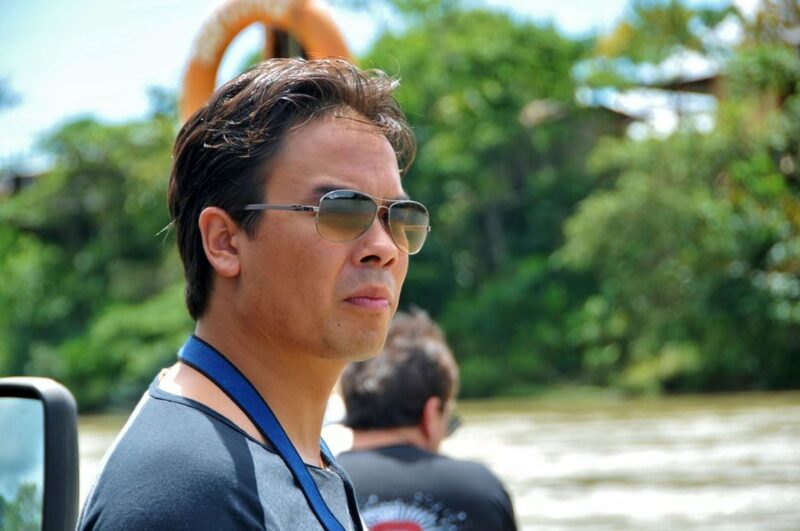 Amazon Watch Program Coordinator for Ecuador, Kevin Koenig. 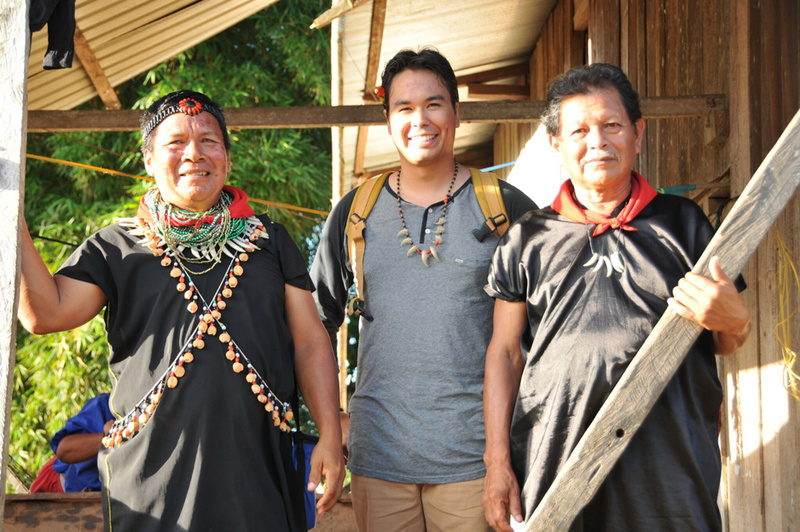 As the Amazon Watch Program Coordinator for Ecuador, Kevin Koenig works closely local environmental activist Donald Moncayo to advocate on behalf of affected indigenous peoples and to support the efforts of indigenous communities fighting to keep oil wells out of their territory. 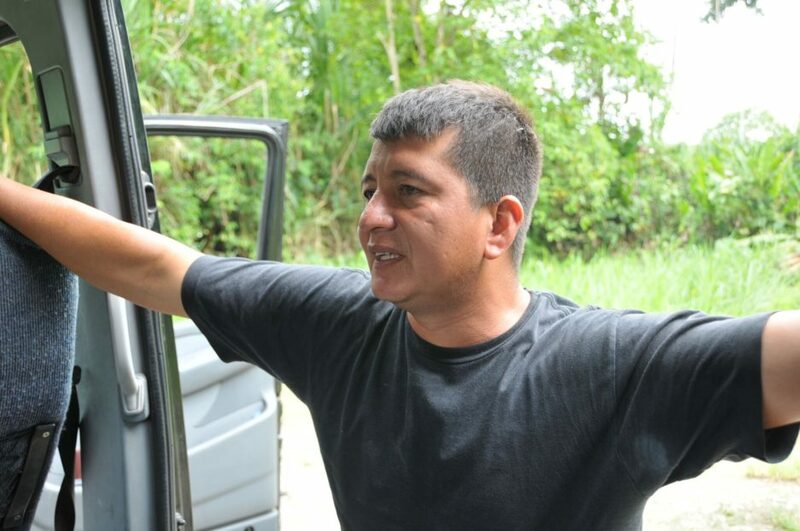 Donald Moncayo, Environmental Activist, member of "Defenders of the Amazon"
As we travel away from Lago Agrio and deeper into the Amazon, our journey becomes more challenging. 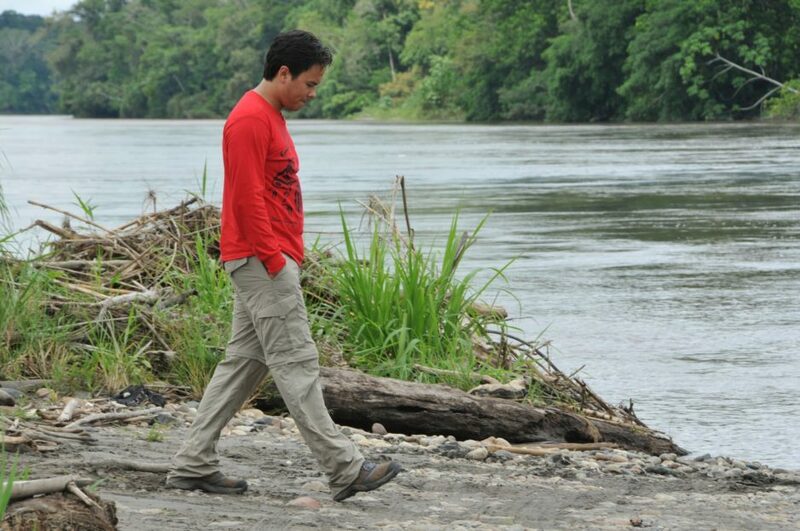 Donald and Kevin are taking us to another remediation site but to get there we need to cross the Agaurico River. 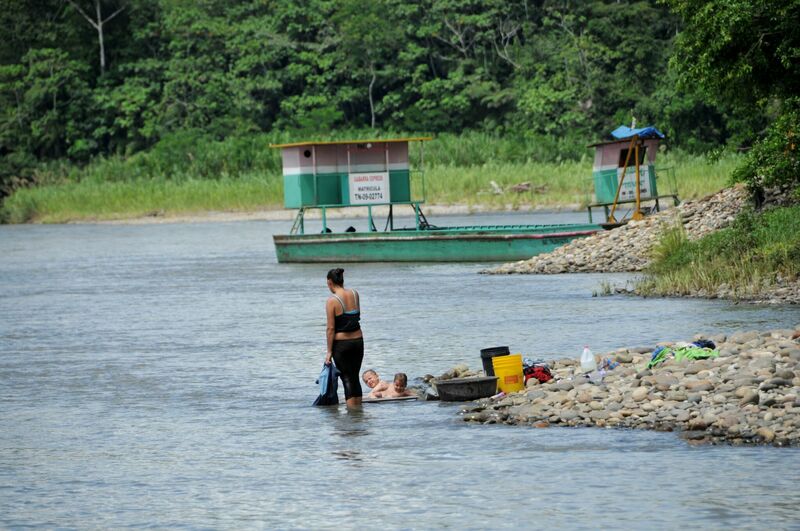 Today the Aguarico is one of the worst polluted rivers in the country. 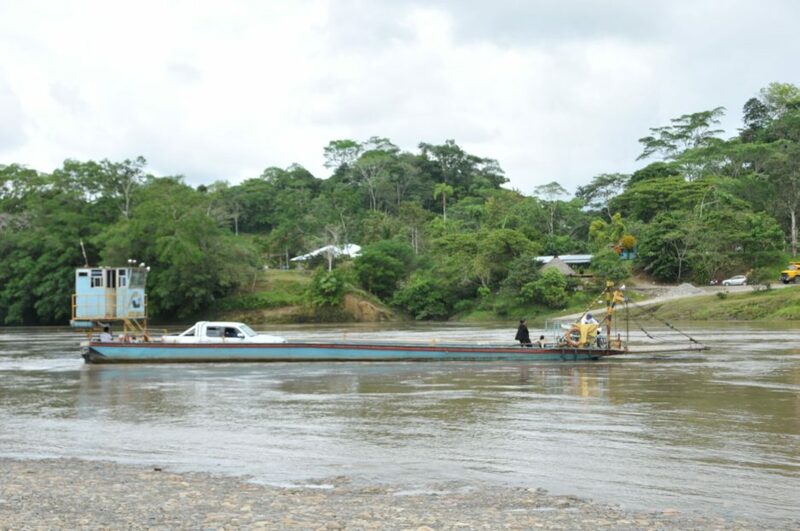 Now that I’ve seen how poorly remediated sites, former oil wells and toxic waste pits have contaminated the environment in this part of Ecuador’s northern Amazon, Yury and I are heading up river to visit a Cofan community to see how they’ve had to adapt to the pollution that surrounds them. 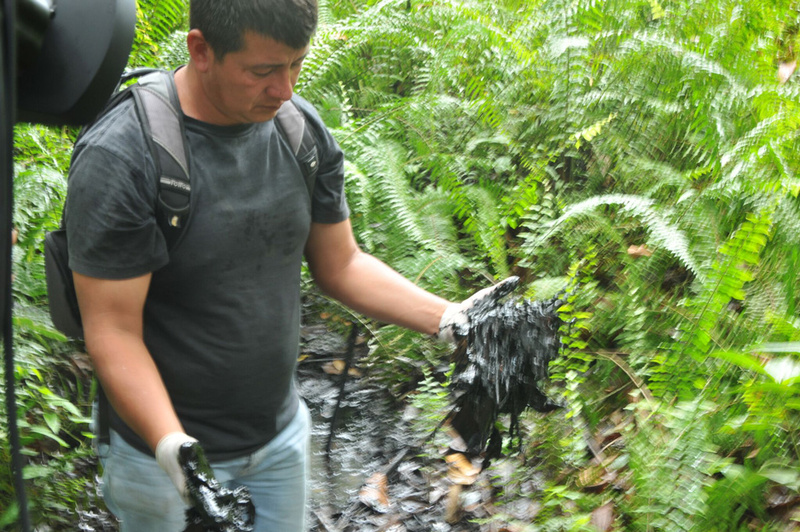 The Cofan people in northern Ecuador are one of the communities hardest hit by oil pollution. 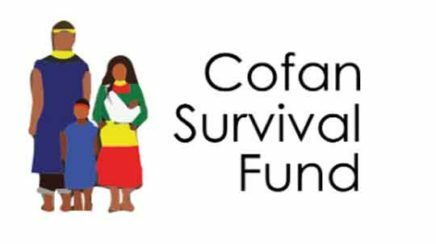 The Cofan are an indigenous people whose culture and society is rooted in the river systems of northern Ecuador and the corresponding region in the south of Colombia. 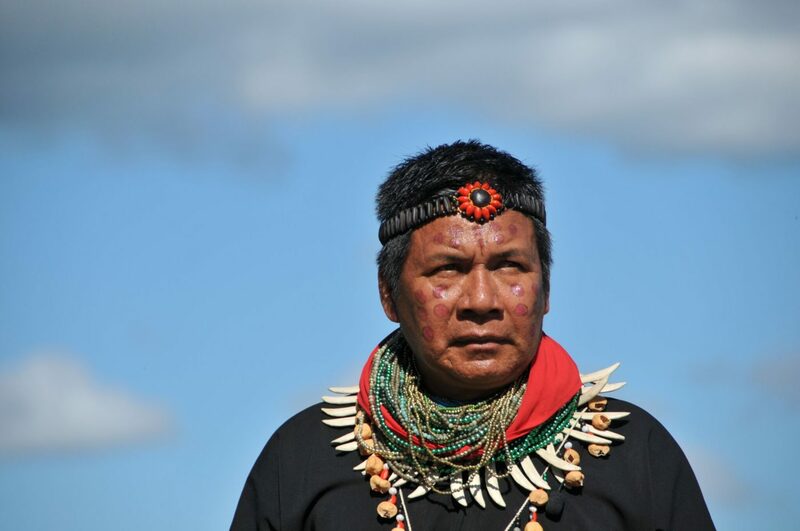 Hermenegildo Criollo is the Chief of his community and I’m honored that he’s invited Native Planet onto his territory. 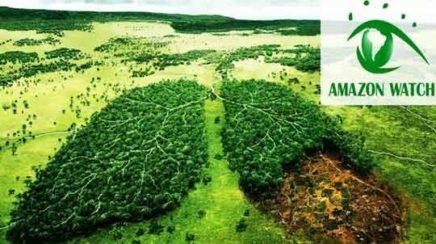 With entire communities in Ecuador’s northern Amazon living on and around toxic waste pits, polluted water and poorly remediated land, it’s no surprise that this region of Ecuador has experienced higher than average rates of cancer and related health issues. Donald and Kevin are taking me to one village near Lago Agrio whose homes were built directly adjacent to a supposedly remediated waste pit. 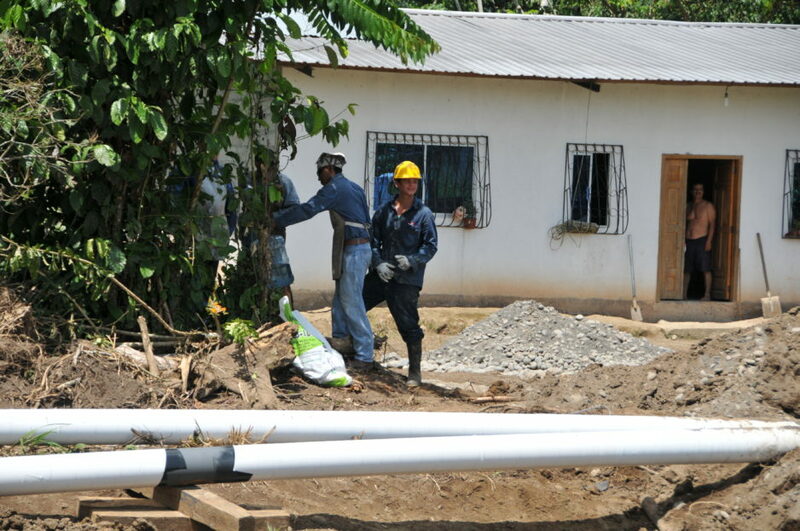 Before we leave the oil fields of Lago Agrio, Donald and Kevin have a family they want me to meet. 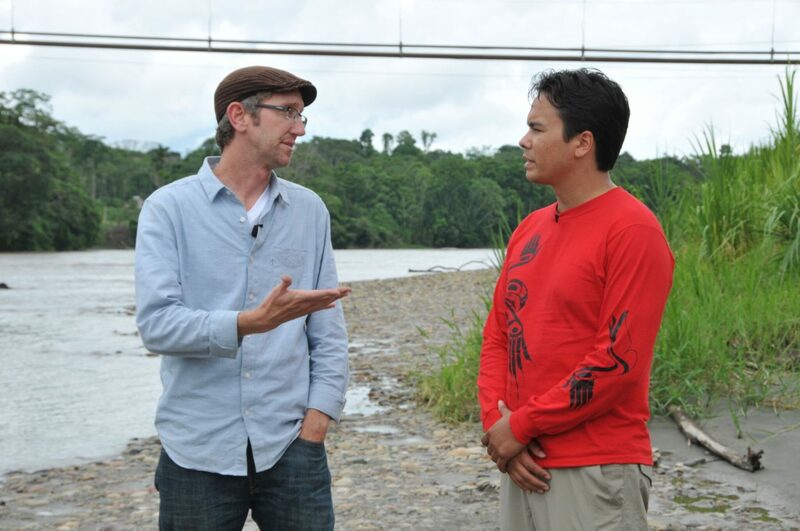 Over the last week, Ecuadorian environmental leaders Donald Moncayo and Kevin Koenig have enabled me to see how the legacy of oil production in this part of the Amazon continues to have disastrous effects on the regions of indigenous communities. As we say goodbye to Donald and Kevin, we begin heading south and our way to a region of Ecuador that’s estimated to contain the country’s largest untapped oil reserves – and the indigenous people living there are fighting to keep it that way. 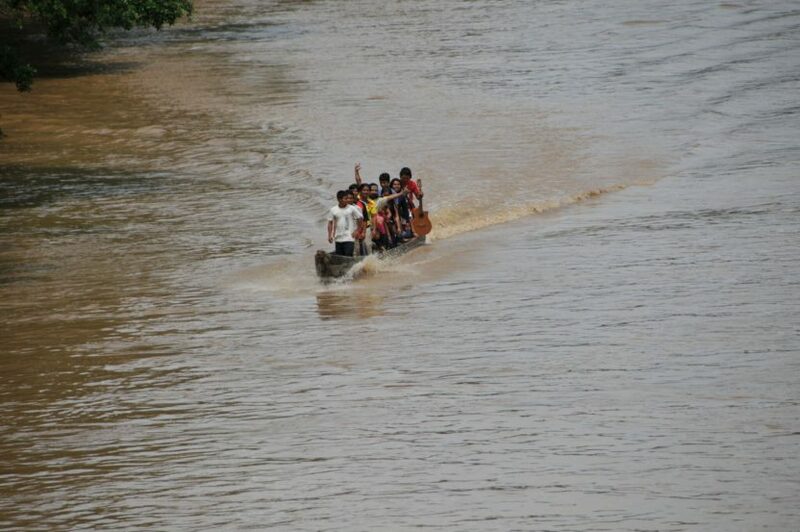 Transporting ourselves and our gear around this part of Ecuador requires us to cross fast moving rivers on crowded ferries. It’s going to take us the rest of the day to get to our next destination, the town of Puyu, our last stop before flying into the Sarayaku.